So, since I messed with the tank, decided to do both of these as well.. Contents - as usual, the meaning of "uniform" is still not grasped. But oh well. We can (eventually) fix that. Two nice little sets, IMO. The dog in the 5186 looks a lot nicer than on the box picture - I really like it. I like the riot shield too. Yeah, the uniforms (or at least the headgear} are not exactly 'uniform', but I guess that children like a variety to play with - and there's lots for the imagination here. I've got the older set and I do quite like it I see that yours also came with the wrong sleeves which means my unit has now been expanded with 2 extra members it's a simple set but, they look equipped for purpose I particularly like the commanders beret and the police dog is very nice, the riot shield's also good my childhood Police man also had a clear version of it. 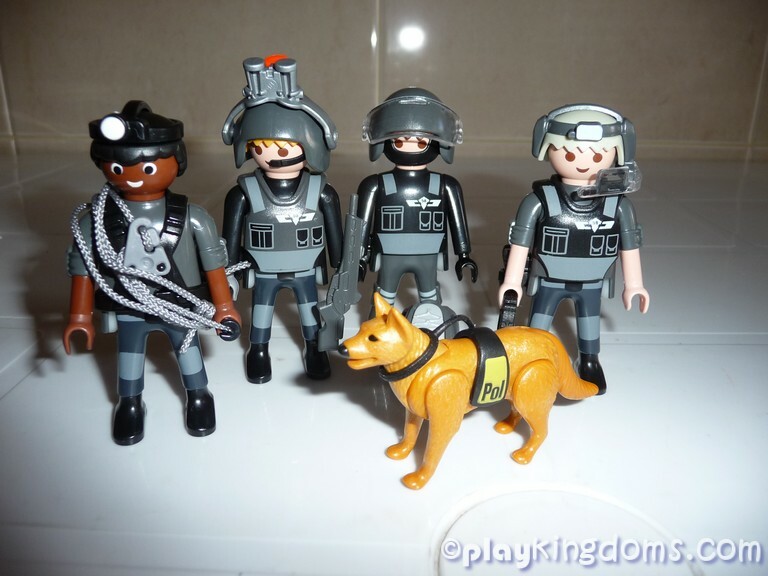 I love the new police set with all their tactical gear. 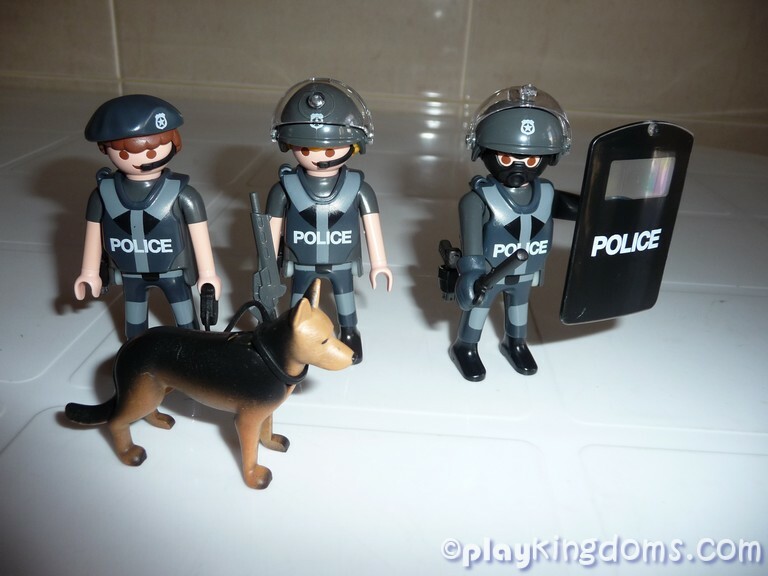 I do find it odd that playmobil wont produce modern military but it's happy to produce paramilitary units if the word police is stuck on them. Point. May they keep them coming! 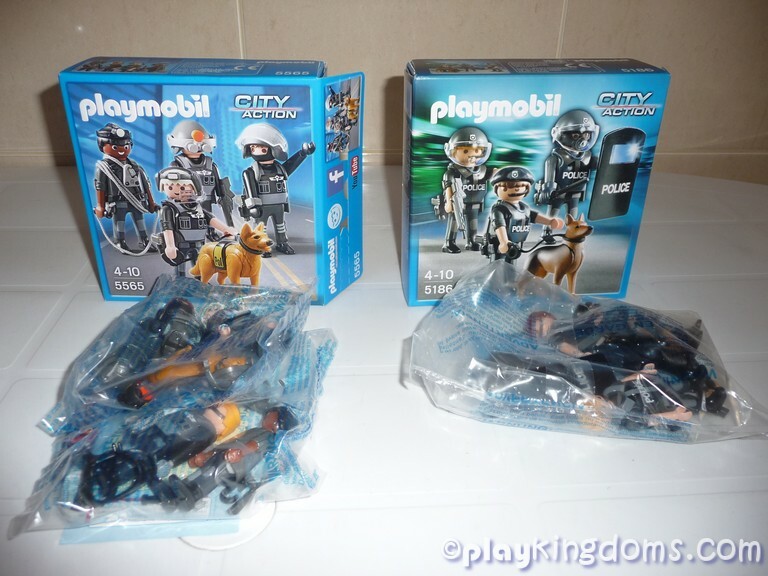 I think these sets show something that Playmobil does really well - taking a bunch of figures that are the "same", policemen - and giving each of them enough different accessories that they would each have a different role or purpose when using (playing!) with them.